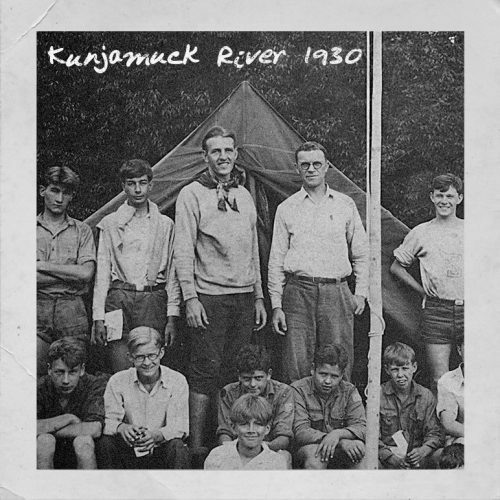 With this dream and an equipment budget of about $500, mostly donated by friends, Kunz trekked into the woods and with the assistance of Cal Wilbur, a local hunting and fishing guide, he established Deerfoot Lodge on the rugged shore of the Kunjamuck River. Even at this early stage, God’s provision was evident at every turn and Deerfoot’s rugged DNA was being forged. Campers hiked in 8 miles on foot to reach the site, and spent their days fishing, swimming, and hiking in the Adirondack backcountry. At the end of that first season, the boys had grown tremendously, but Dad Kunz was out of funds, with bills due and feared the ministry was already at an end. As he continues to do to this day, God met their need when a visiting sportsmen overheard Deerfoot’s need, stepped in, and made a donation to this infant ministry. Kunz had always known that the site on the Kunjamuck River was “Just a toehold” and that Deerfoot would need more space and a lake to thrive. 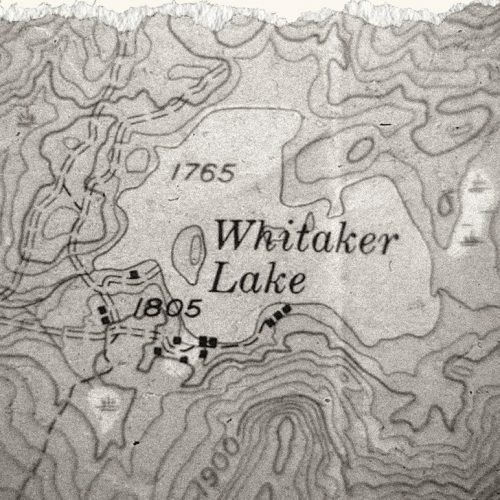 With this dream in mind, He stood on Dug Mountain, viewing Whitaker Lake below and dreaming of the possibilities. He soon learned that the property was already occupied. This seeming body-blow, in God’s providence became the blessing of yet another set of supportive hands, as Kunz struck an agreement with Halsey Page, who was leasing the cabin. Page became a friend of Deerfoot and later constructed the Crafts Cabin to stand alongside his already built hunting lodge (Old Hardwood). Soon Deerfoot was thriving and as rugged as ever. Early volunteers worked for weeks, pulling stumps with nothing but blood, sweat, and the help of a modified 1922 Buick Roadmaster. Others carried equipment in the 2.5 miles from rt. 30, tended the farm animals necessary to feed campers in such a remote location, and of course cared for the boys themselves. In the coming years, the Deerfoot Program would take shape. The three camper sections were built, the Dining Hall was constructed, and the camp persisted; surviving destructive windstorms, and even a brief shutdown for World War II. 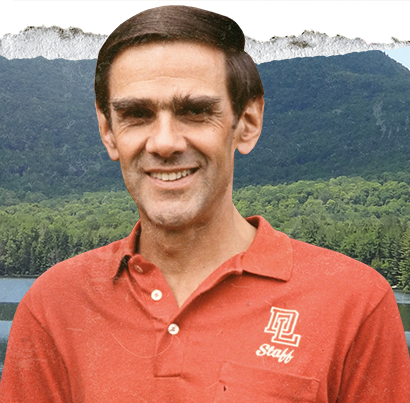 Camp heroes like Al Moxie, Harvey Kunz, and Connie Baehr, and dozens of others emerged in these early years demonstrating godly manhood, and building a long-standing culture of rugged toughness combined with a transparent desire for Christian growth. In later years the Guide program emerged as Deerfoot’s training program for young leaders. Deerfoot persisted on the backs of faithful part-time leadership and able volunteers. In the early 80s, Deerfoot needed direction. In a step of bold faith, the Board of Directors moved to hire a full-time director. The camp needed to grow both its budget and its enrollment. Chief Chuck Geiser stepped into this role and led boldly. Once again, God was faithful: Deerfoot grew tremendously during these years and proved the ongoing relevance of Dad Kunz’ original vision. In 2004, Chief Chuck officially passed leadership responsibility for Deerfoot on to Chief Ron Mackey. Today, the original mission to build godly men continues to thrive at Deerfoot Lodge. Deerfoot registration has become a testament to the need for this mission. Many camp sessions fill with wait-lists. The Adirondacks camp has been running at capacity, with wait lists for many years and has no capacity for numeric growth on the ADK site.  With a conviction that the mission to build godly men must not be limited in this way, the Deerfoot Board of Directors again took bold action. In March of 2015, after years of praying and discussion, Chief Ron and the Deerfoot Board of Directors decided to explore opportunities in the mountains of North Carolina or the surrounding areas. The idea for Deerfoot Lodge Blue Ridge was born. 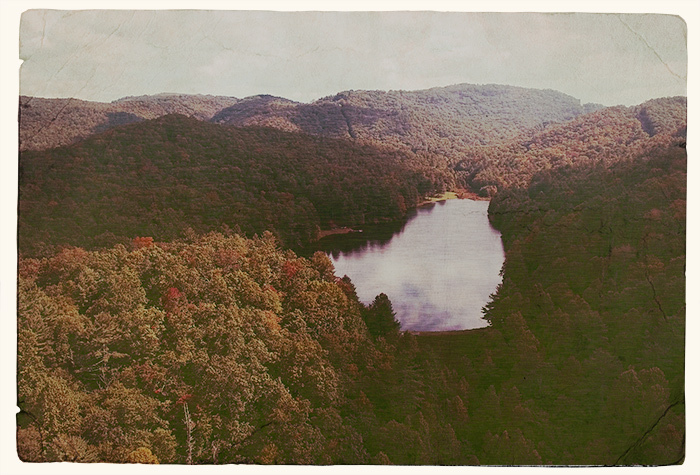 Since then, God led Deerfoot to an ideal place called ‘Trout Lake’, which is located near Cashiers, NC. The Trout Lake property is 340 acres, with a 20 acre private lake, set in a pristine, mountainous and wilderness area. Deerfoot entered into a purchase contract in August of 2015, and began to pray and ask people to join financially in this Vision. By January 2016, by God’s grace, Deerfoot received gifts and pledges to purchase the Trout Lake Property without any long-term debt. We, the Deerfoot community, now face the daunting challenge of building the camp on this beautiful new property. The cost will be an estimated $16 Million. The challenge will be great: bringing significant organizational changes to Deerfoot Lodge and the year-round staff. The opportunity, however, will be great as well: Opening the doors of Deerfoot to a whole new geographic region in proximity to large cities like Charlotte and Atlanta. We are excited about taking down the ‘no vacancy’ sign that hung at Deerfoot for many years, to say ‘yes’ to boys who want and need to be here. Deerfoot Lodge Blue Ridge will open its doors for the first time in summer 2019! We have leadership in place to run the camp and the buildings are being completed as we write. Our need for funds and volunteers continues, however. The Deerfoot Blue Campaign calls for participation from every generation and every part of the Deerfoot family. 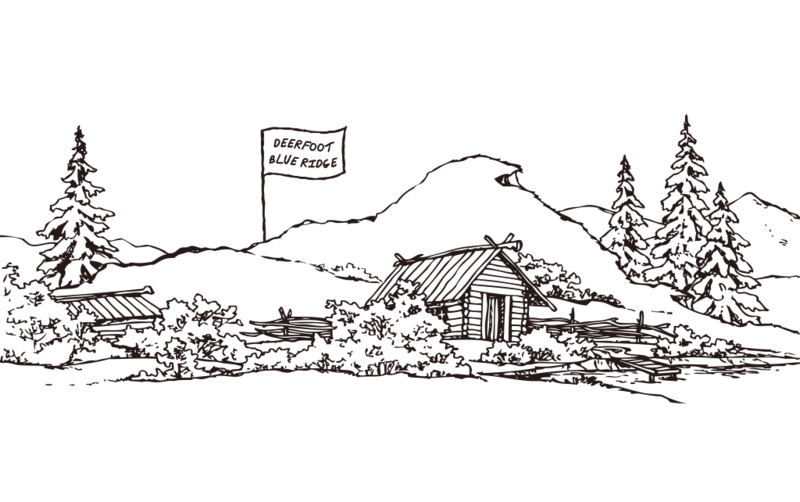 Our goal is to avoid any long-term debt for Deerfoot Lodge. For that to happen, we need Deerfooters to give, to pray, to help, and to support the launch of Deerfoot Lodge Blue Ridge. We are no longer a rag-tag group of boys on the shores of the Kunjamck River, but Dad Kunz’ vision has endured. Deerfoot has witnessed a dramatic change throughout its history. But one thing will always remain the same: we exist to build godly men in a Christ-centered community through wilderness camping. The natural difficulty of the wilderness environment promotes growth and learning today, just as it did in 1930. Godly mentors at camp help hone the Christian leaders of the future just as they did in the past.